Q: What is Electro-Muscle Stimulation? of pain and the reduction of muscle spasms. Q: How does Electro-Muscle Stimulation work? A: Small amounts of electrical current are induced into the tissues for the purpose of reducing swelling. In addition, as the current causes the muscle to contract it also flushes toxins out of the tight muscle tissues and enables the muscles to relax as they fatigue from being stimulated. 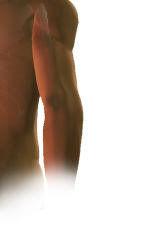 This widely used technique also safely strengthens muscles and helps reduce painful symptoms. Q: What does Electro-Muscle Stimulation feel like? A: Patients generally feel a slight tingling sensation at first. Since your body may become accustomed to the initial setting, the intensity may be raised during the course of your 10-20 minute treatment, for maximum healing effect. This therapy is always based on the patient’s tolerance and comfort levels. Q: Why is Electro-Muscle Stimulation used in our office? 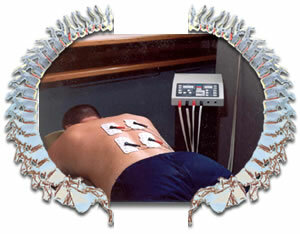 A: Electro-Muscle Stimulation has been used as an effective form of pain relief. It is recommended in cases in which pain is accompanied by swelling and inflammation.